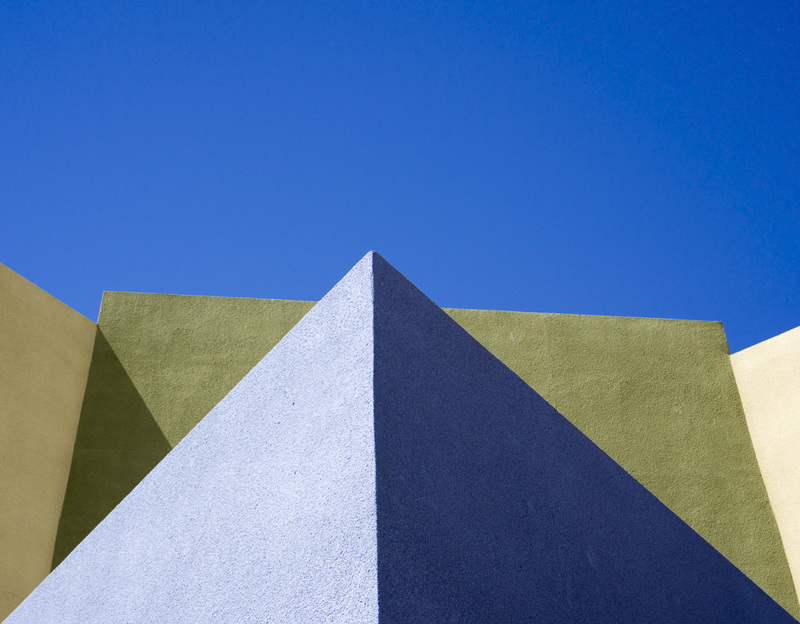 Tell me more about your project New Mexico Deconstructed: bright colours, sharp lines and minimal aesthetics. What led you to these works? New Mexico Deconstructed began about two years ago. I was deep into my exploration of photography as a creative outlet and I was shooting all the time. 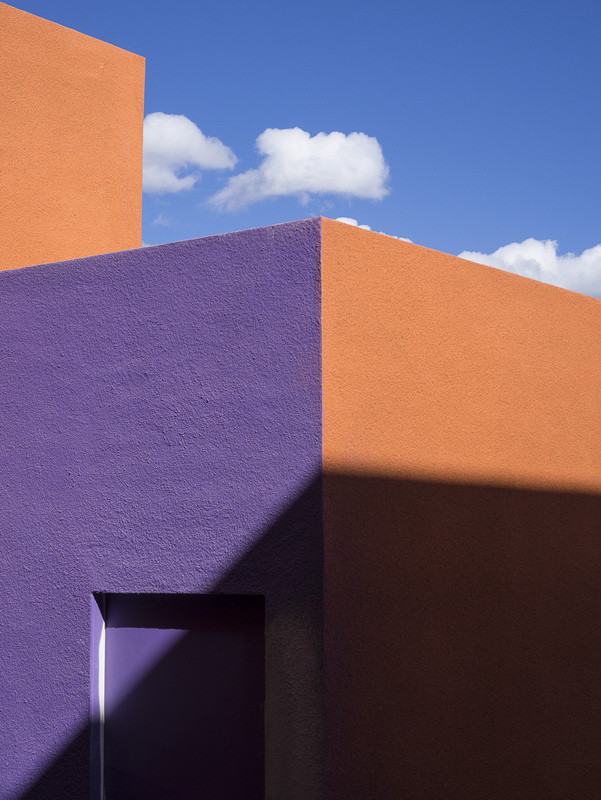 Bright colors and straight lines are actually rare in Santa Fe, as the strict zoning in the city requires that all buildings be no more than 3 stories and they are mostly some version of a brown adobe mud color. The lines of buildings aren’t straight…they are very curvy and organic. 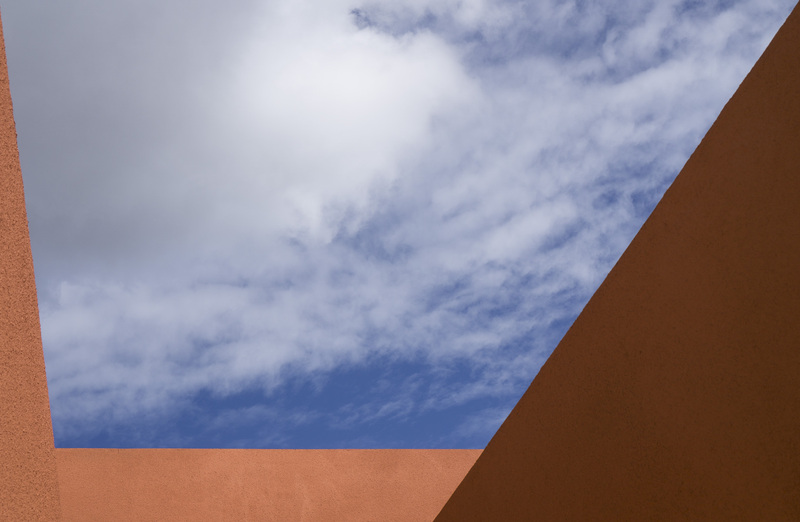 It is quite beautiful, but the traditional architectural style of Santa Fe has been photographed countless times. I started to explore parts of Santa Fe that would offer something different. I found that office buildings and apartment complexes on the edge of the city offered some interesting lines and color, especially in the mid-morning and early afternoon. I started sharing some of these images on Instagram, and the reaction was immediate and strongly supportive. This was the beginning of New Mexico Deconstructed… I refer to it as an effort to distill down the most essential elements of the southwest…light, color and shadow. 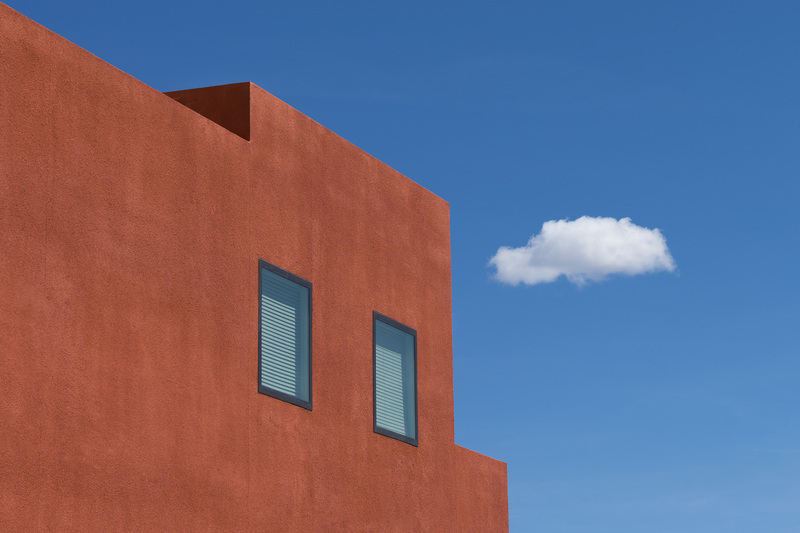 Do you think your minimalist style has reached its most perfect manifestation in New Mexico Deconstructed and how do you view the presence of colour and form? 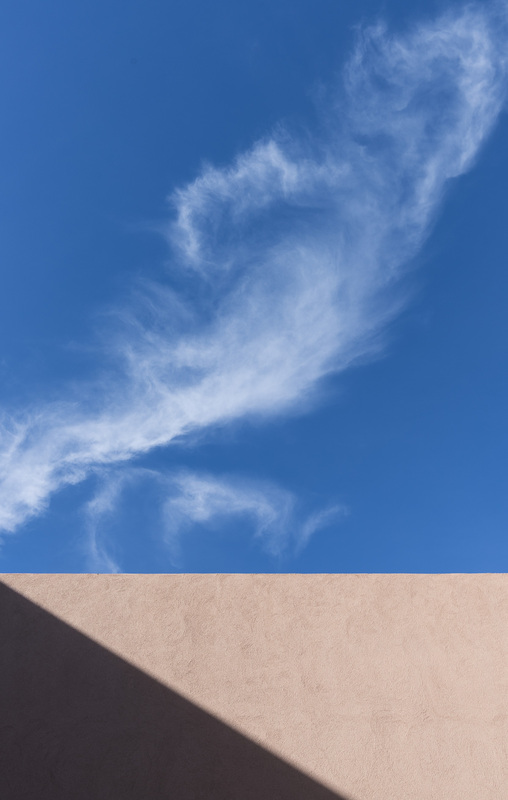 I don’t think New Mexico Deconstructed is a perfect manifestation of my minimalist style… I actually see it as my beginning efforts to explore photography as a creative outlet. This is an ongoing project and I am adding images all the time. I hope as I continue to pursue this that the images get stronger and they impact the viewer. As for colour and form, I see them as equally important, however if a composition has only color and no form, then it doesn’t work. I think the opposite is true for form….form without colour can be very successful as an image. I notice you use Instagram as your main way to distribute your photography. Do you think social media has made an impact on the work you produce? Instagram is the primary social media platform where I share my photography and I typically share one image a day. I follow some incredible artists who are also working in a similar style so there is always inspiration to be found. I do look at a lot of photos and I don’t work in a vacuum; Instagram has been instrumental in training my eye to see what is around me and because I tend to shoot banal subjects I think this is even more important. You seem to avoid the presence of people in your environment. Would you consider yourself a landscape photographer? I would consider myself an urban landscape photographer, yes. However the scenes are de-contextualized and surreal. The views are rarely wide; instead they are usually a more close-up abstracted view. Would you say your surreal style has been influenced by your study and practice of psychology? I like a very clean, slightly over-exposed, yet contrasted image. There is flatness to them as well and the feedback I have received is that they do have a surreal quality. I spent many years thinking about and working on my own dreams with a Jungian analyst and I also worked as a psychotherapist for a long time and specialized in trauma work. The exploration of dream life is a key aspect of working with trauma. These ideas are still stirring in my mind and my camera is a way to continue the conversation. Your earlier work, Roadside was documentary telling the story of your journey across the American West, however New Mexico Deconsructed seems to be absent of this progression, or journey. Should your images be taken as individual interpretations of the landscape or is there, too, a journey? New Mexico Deconstructed is not narrative in any way… I see it as moments in time where the light is a certain way and the shadow is a certain way and it might never be seen under those exact conditions again. 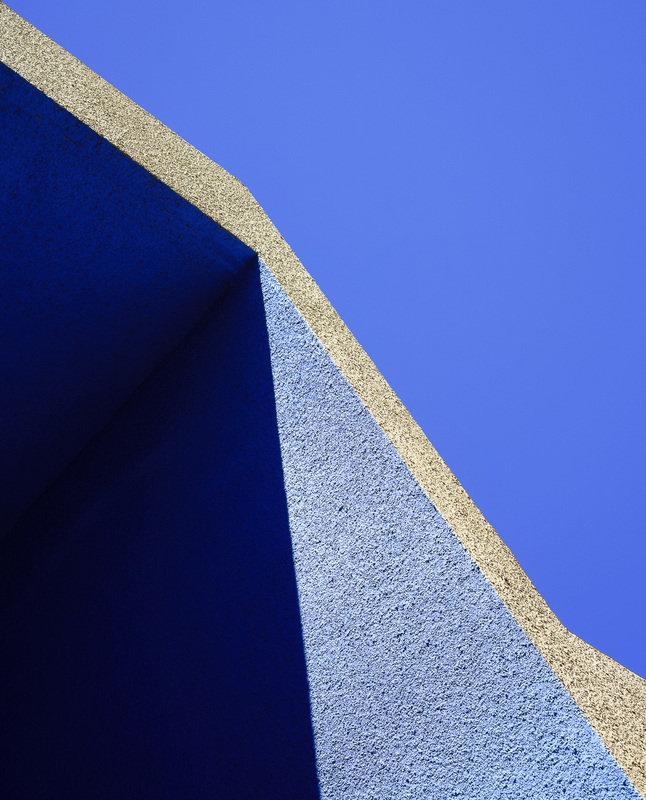 These are very simple subjects… primarily walls and sky. The intent is to capture something very quiet, to isolate something and bring it in to view. Is that a metaphor for our journey in life? Maybe… to slow down enough to see what is right in front of us?